“On Jan 3, 2004, Conrad fell into a swimming pool for an ‘unknown’ length of time at his grandparents’ house in Temple, Texas. He was in respiratory arrest when EMS arrived and coded 3 times at Scott & White hospital. He remained in ICU for 1 week and his basic condition improved steadily. We transferred to Santa Rosa hospital in San Antonio, Texas at the end of January 2004 for inpatient rehabilitation and remained there until early April 2004. 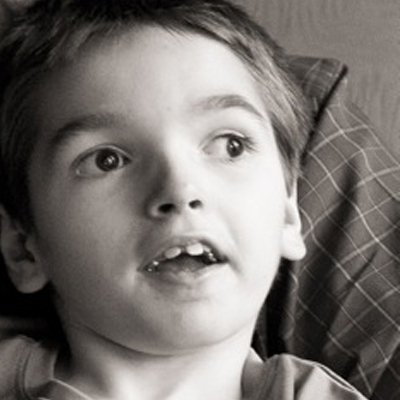 At discharge, Conrad was severely disabled with a dim prognosis. We were told to prepare for him never to get better. Team Luke Hope For Minds has helped provide Conrad with Neuro Developmental Therapy and surgical consultation and casting at the University of Texas Medical Branch by Roz Mazal.